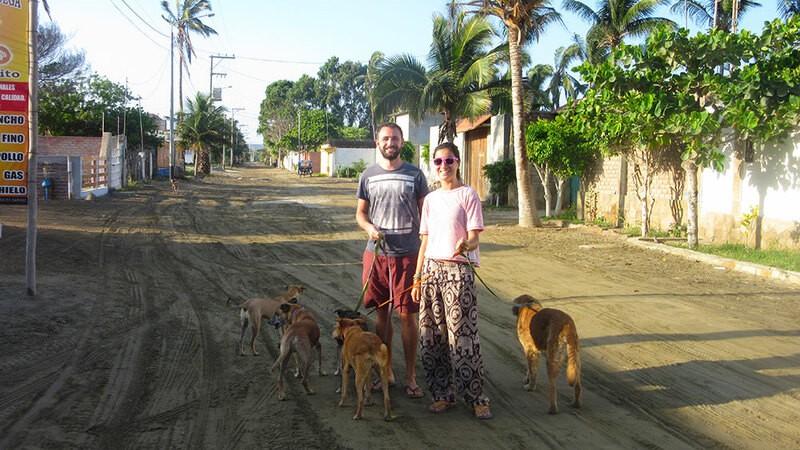 We were too unorganised for a 4 day trek (you have to book these things months in advance!) and a bit too lazy for the ultra budget way (which involves almost a full day hike along a railway line) so opted for the train instead. The problem with the train is that it’s a rip off. 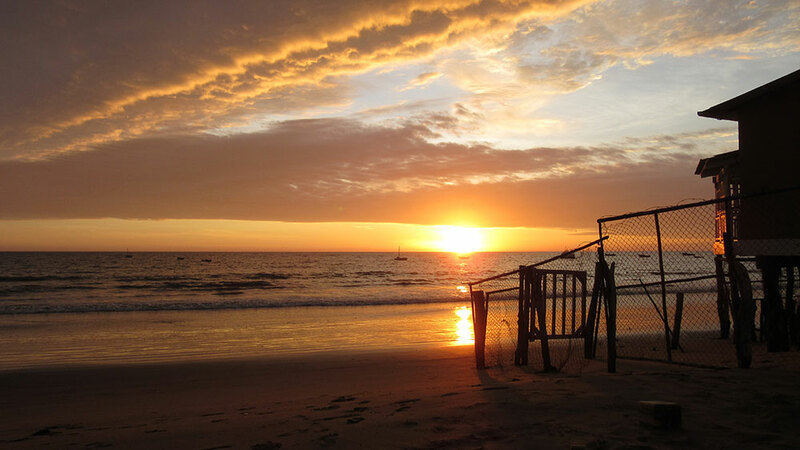 There’s a reason budget travellers spend a whole day on buses and hiking to avoid it. 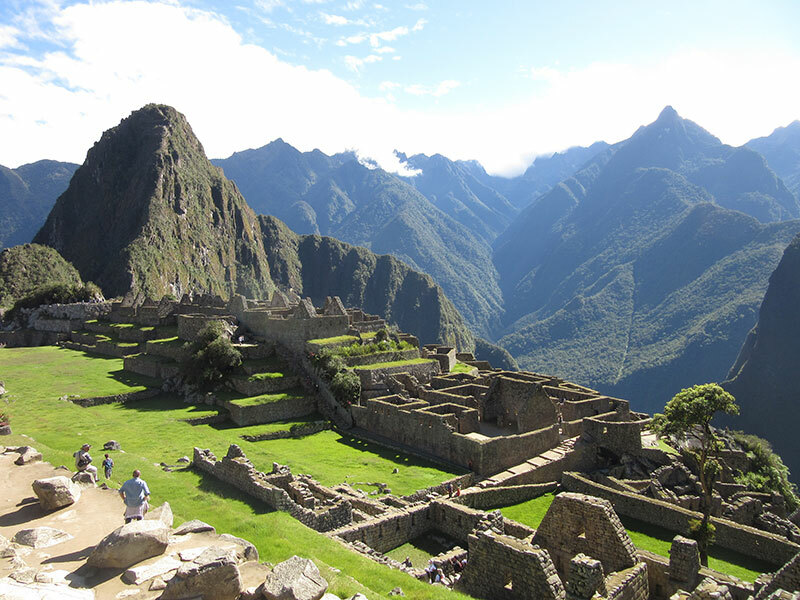 But because of the remote location of Macchu Picchu, if you don’t want to walk there is no alternative. 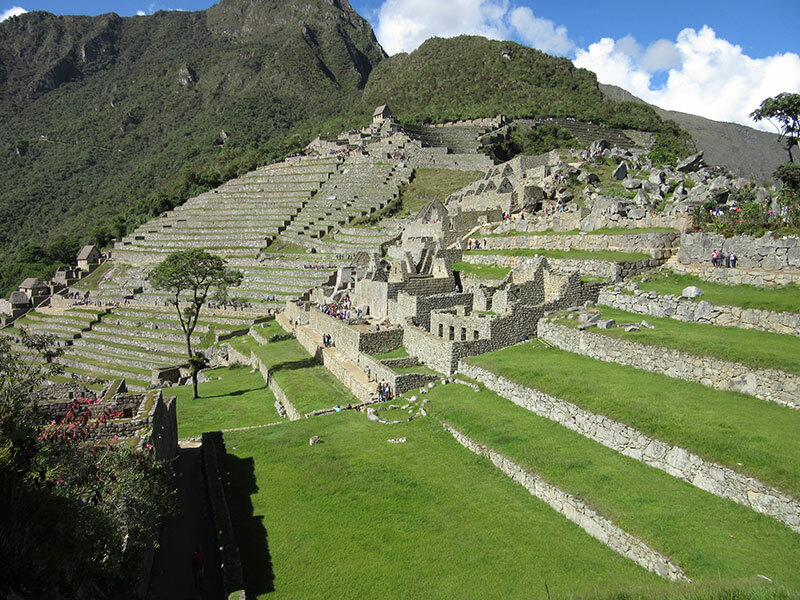 So we bought our tickets from the town of Ollantaytambo to Aguas Calientes. 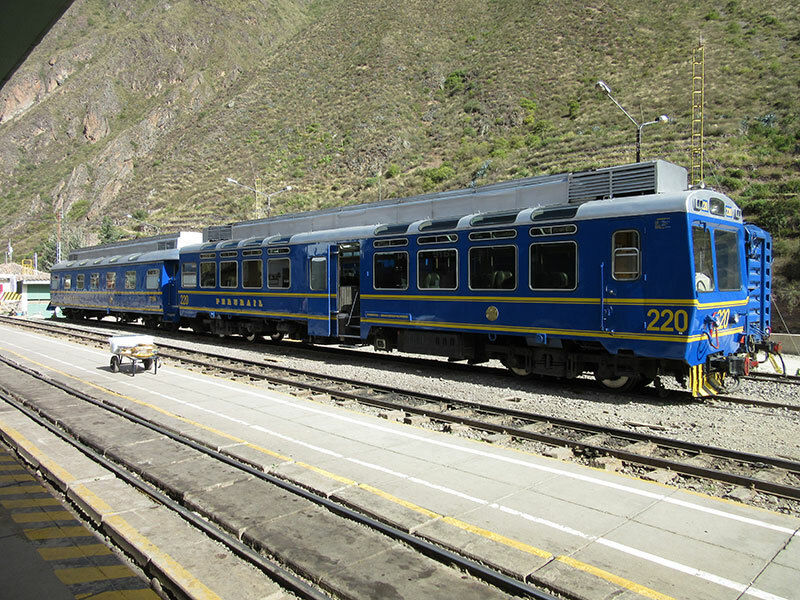 There are some trains from Cusco but they are few and far between and also more expensive. 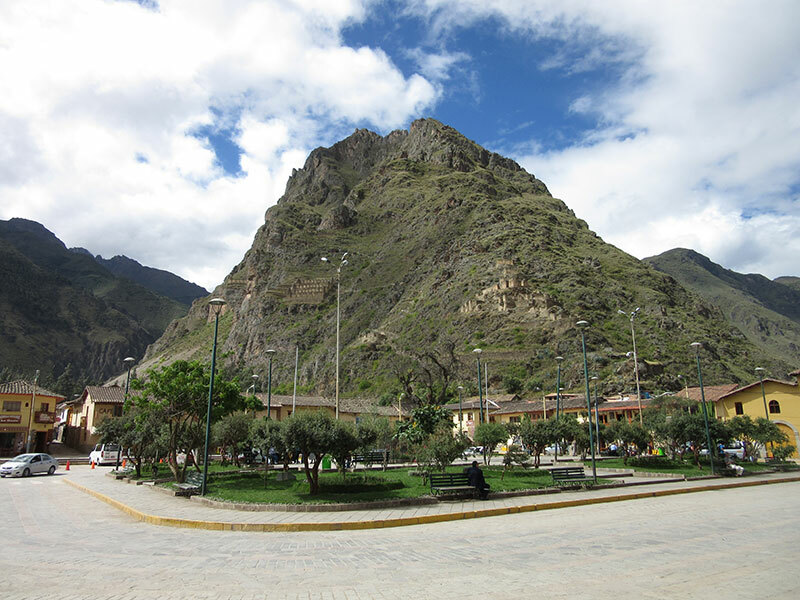 Ollantaytambo is a cheap combi ride away, though it does add a few hours to the journey. After being lied to by a policeman that it was closed, we found the combi station very much open and within 5 minutes we were on our way. 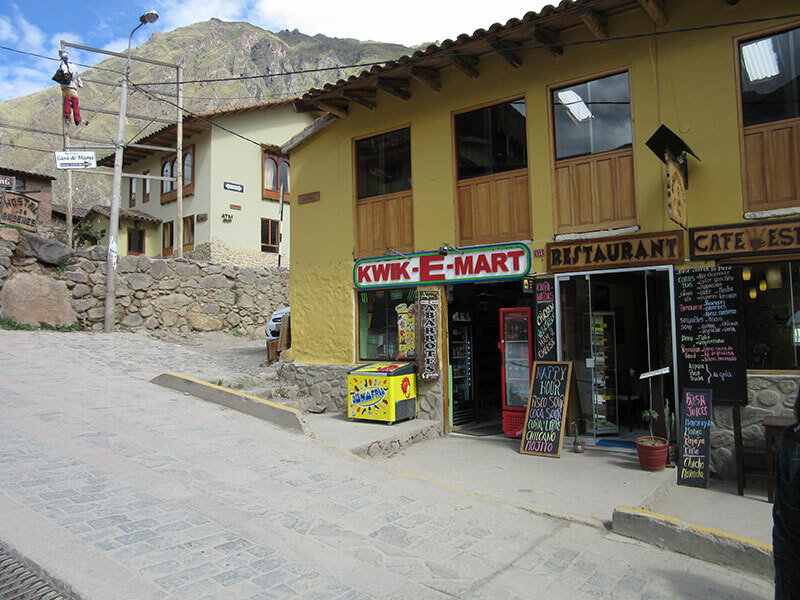 Two bumpy hours later we arrived in Ollantaytambo and quickly realised maybe we should have spent a night there – it was beautiful, nestled among mountains with cobbled streets and it’s own set of ruins. Instead we just had time for lunch, which we took at the non profit Hearts Cafe – highly recommended. Not sure what this was doing here.. Train time arrived and we sauntered down towards the station, boarded our train and quickly realised we were some of the only people not on a tour! 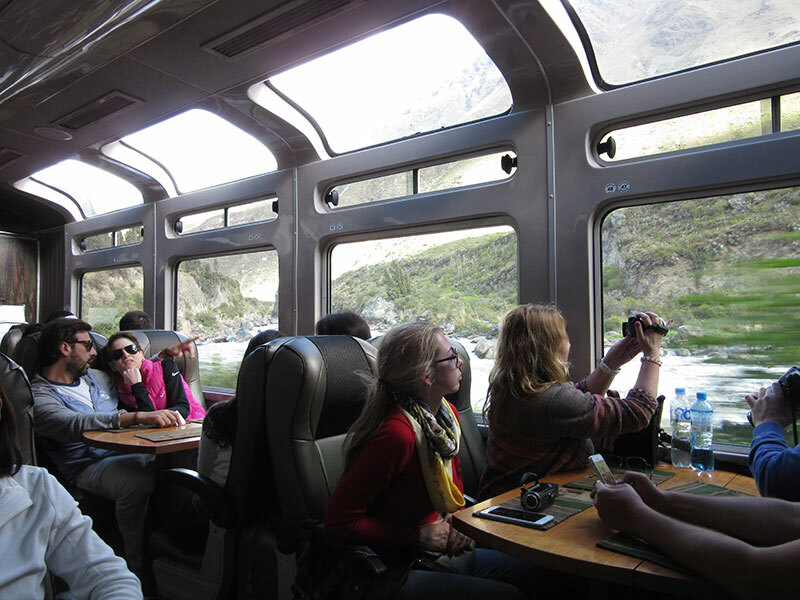 We were on the ‘Vistadome’ train, a train with windows in the roof which did afford some good views of the mountains sweeping past, even some snow capped peaks in the distance. It was a nice, scenic train ride, and the ticket included a free snack and drink…though for the price that is the least you would expect. 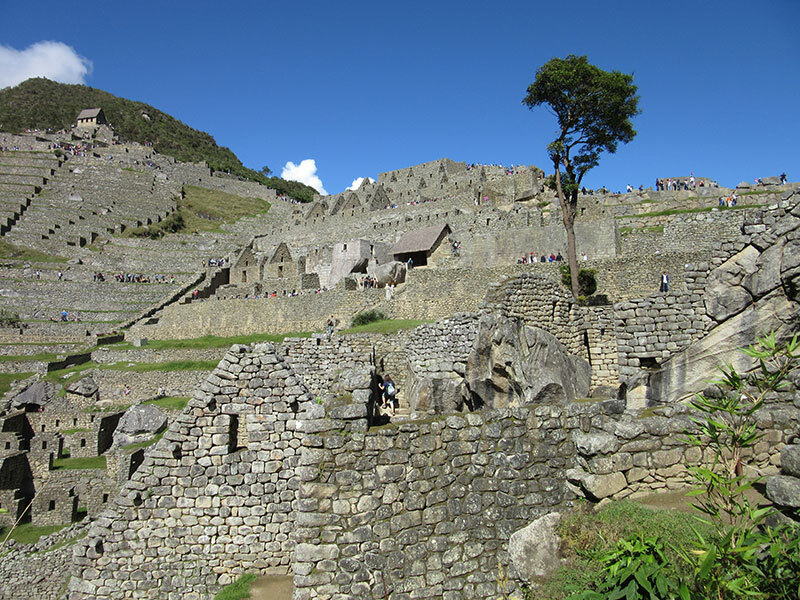 We arrived in Machu Picchu town and quickly started looking for somewhere to stay, finding our first 3 or 4 choices full. So we headed to Ecopackers, a hostel we’d read about, which had space but was a bit grotty. But we figured it was only 1 night so we could make do. 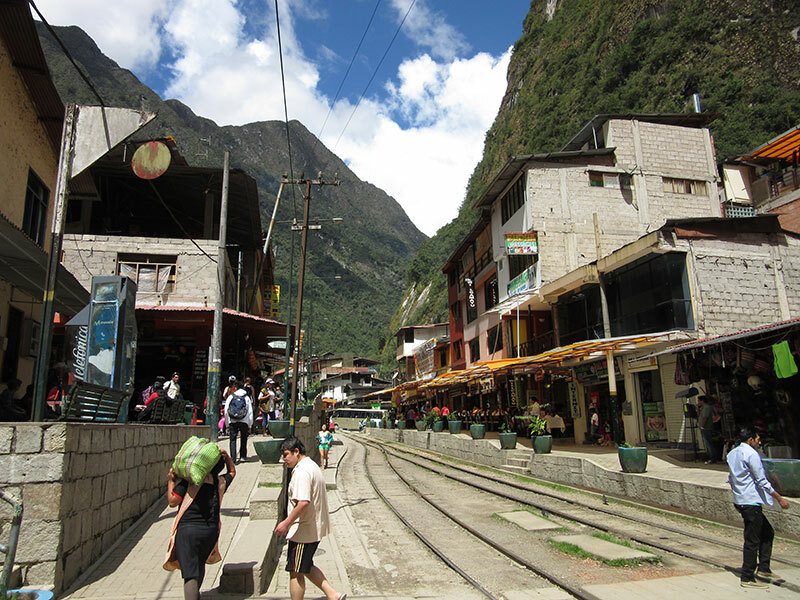 Aguas Calientes, if you believe the internet, particularly Wikitravel, is a cesspit hellhole. I really wasn’t looking forward to staying there. But as usual, the internet massively overexaggerates. 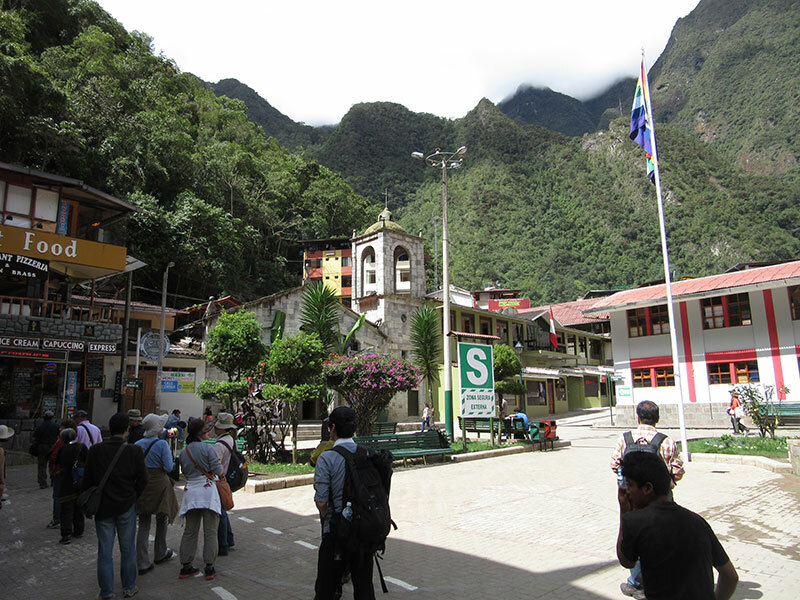 Aguas Calientes is a touristy town, of course, as Machu Picchu is the only reason it really exists, and it is a bit expensive, but it’s not THAT bad! 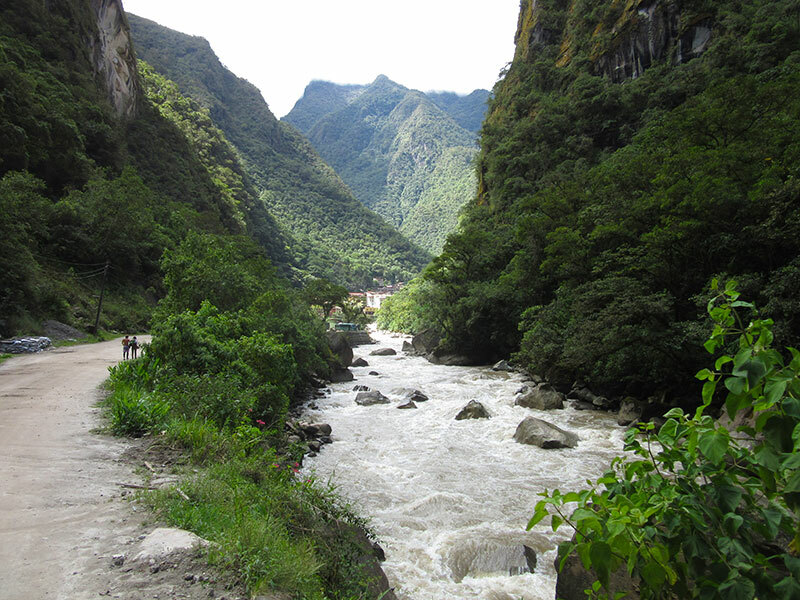 It also has a raging river running through it, which was a surprise. One thing I can recommend is lunch at the market. Surprisingly full of locals, we got a decent plate of food for something like S./15 which was more expensive than Cusco but far cheaper than most places in town. After an early night we got up at 4.30am, packed up and wandered out in the blackness to queue for the bus up to the ruins. This looked like a disaster at first, there were already hundreds queuing for the bus and we had to queue for a ticket first – buy one the night before. 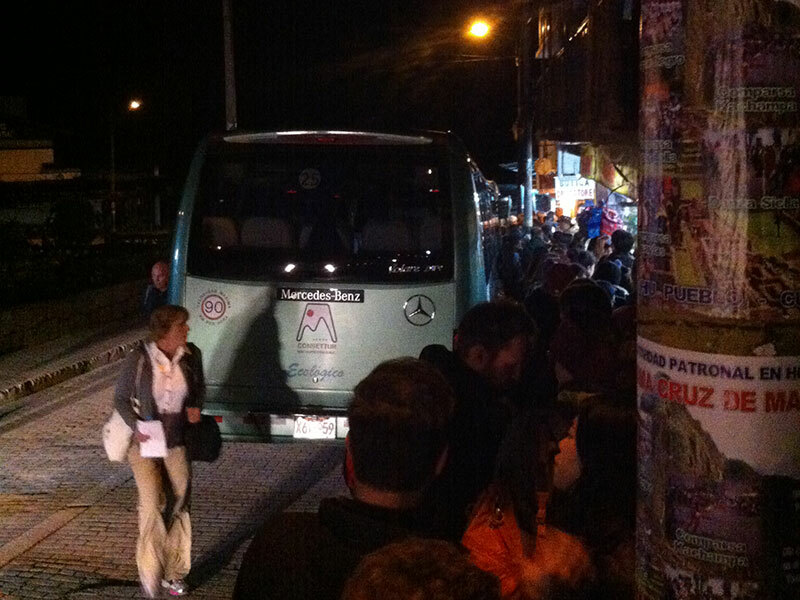 The whole thing is a slick operation though, and come 5.30, streams of buses arrived and we on our way about 5.40. We went for a single ticket since they’d increased in price from the already ridiculous $18 return to $24. A single cost us $12 each. Clearly the sky is the limit with this profiteering, in 10 years expect it to be $50 each way for a 20 minute journey..
We could have walked to the top but in our blearly eyed state we just couldn’t face it. After seeing the state of some people who had made the walk up, we didn’t regret it. At least we were fresh for the ruins. 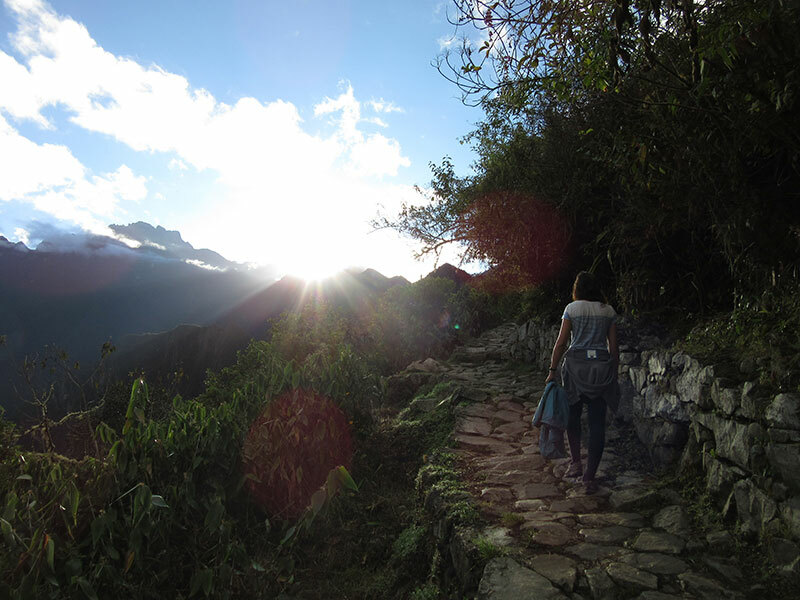 After entering and catching a brief glimpse of the famous view, we took a hike to the sun gate, which is where the Inca Trail hikers enter the complex. 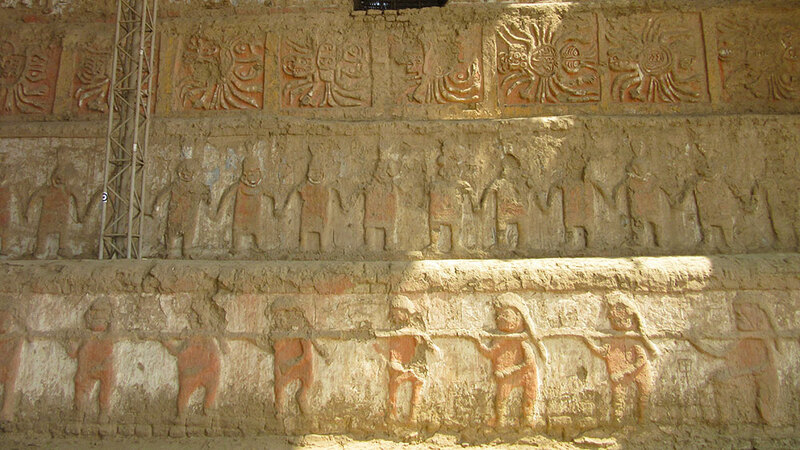 As we reached the gate we saw the ruins from a new perspective and true to its name the sun appeared to blind us. 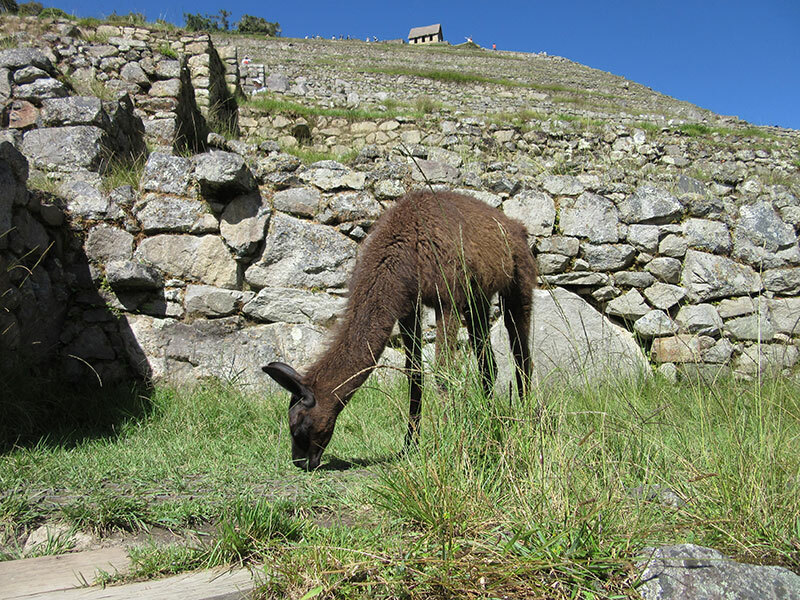 We headed back and walked towards the Inca Bridge – another non essential trek but we wanted to see as much as we could. 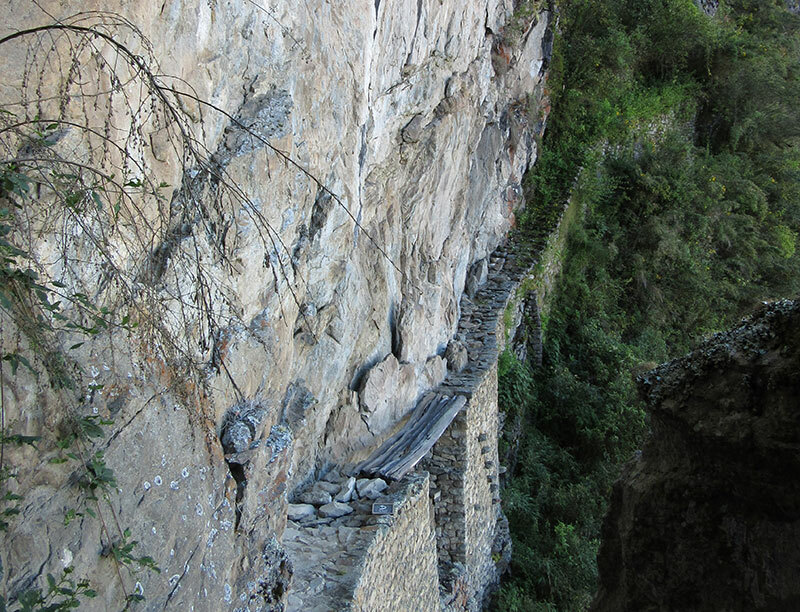 I expected to be able to walk across the Inca bridge but after seeing it I understood why you weren’t allowed! 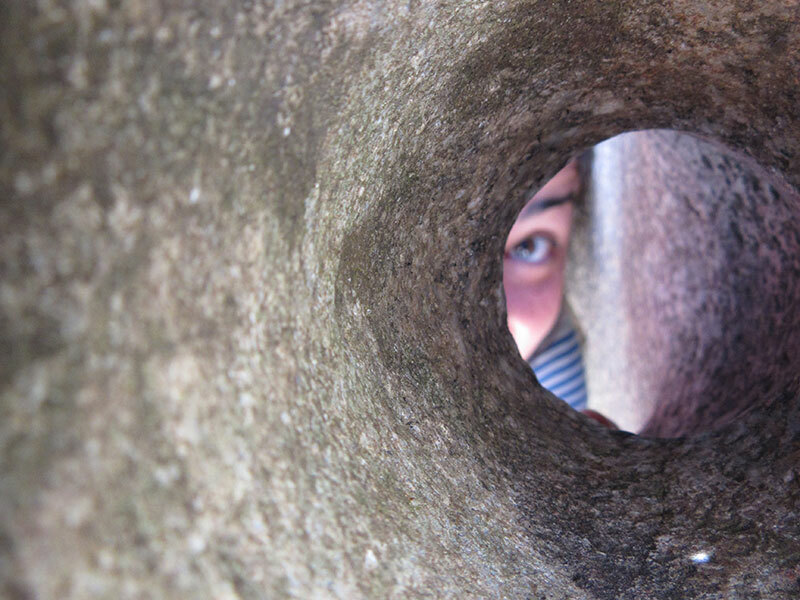 For the next 4 hours we explored every nook and cranny of the ruins. This is one of the times that pictures can say so much more than I can. As much as I enjoyed seeing the ‘classic’ view of the ruins in real life, what I liked even more was getting inside the walls and seeing view after view that I’d never seen before. Around midday we had exhausted the site – as amazing as it was I’m not sure how people stay there the entire day, and began our walk down the hill back to the town. 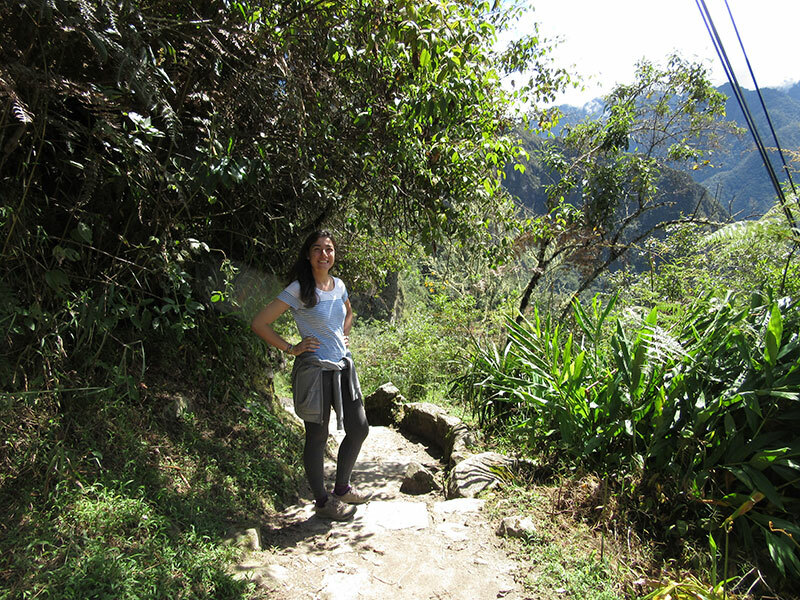 We thought the walk down would be a breeze, and compared to coming up it probably was, but with hundreds and hundreds of steps, and an 8km distance, it was still exhausting. It took a good hour to reach the town again. 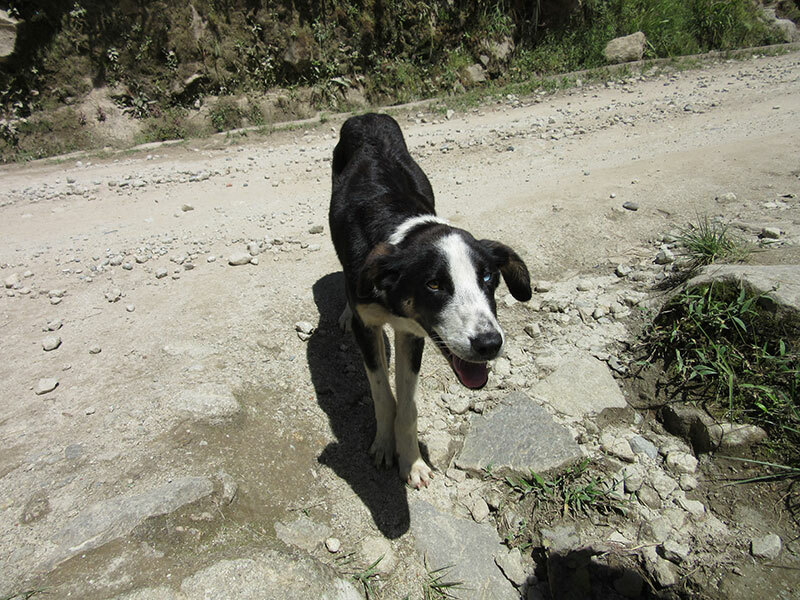 At least we had a dog for company. 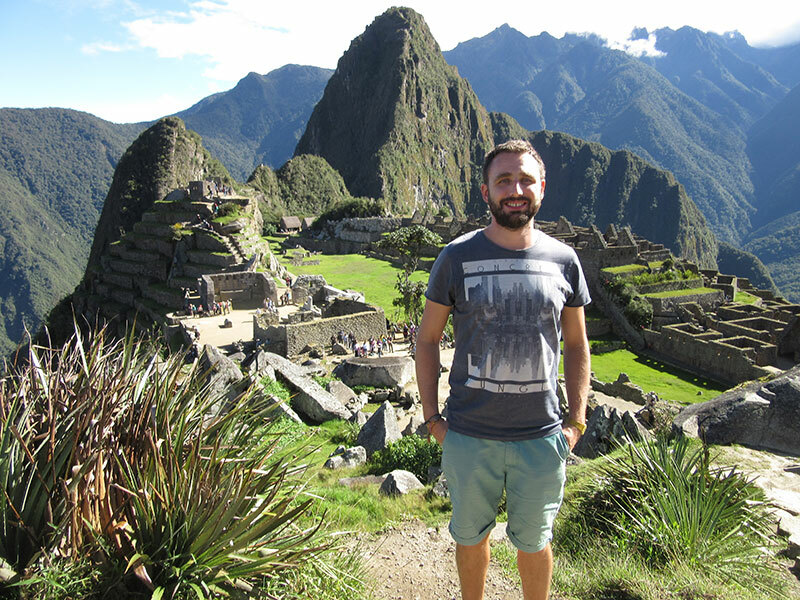 For all the extreme costs, and the feeling that it might be overhyped, for us Machu Picchu was anything but. One of those places that absolutely has to be seen. Get there early – we couldn’t have arrived much earlier and while there were hundreds of people there by then, a few hours later there were thousands. It also gets very hot, very quickly, another reason we were done by lunchtime. Take snacks, lots of snacks – there is nothing except extremely overpriced buffets at the site – I’m talking $36 per person. There was a vending machine selling S./15 (£3) Cokes and snacks. Officially you arn’t allowed to take any food in but no-one checked and it is essential. Just don’t be an idiot and leave litter behind. 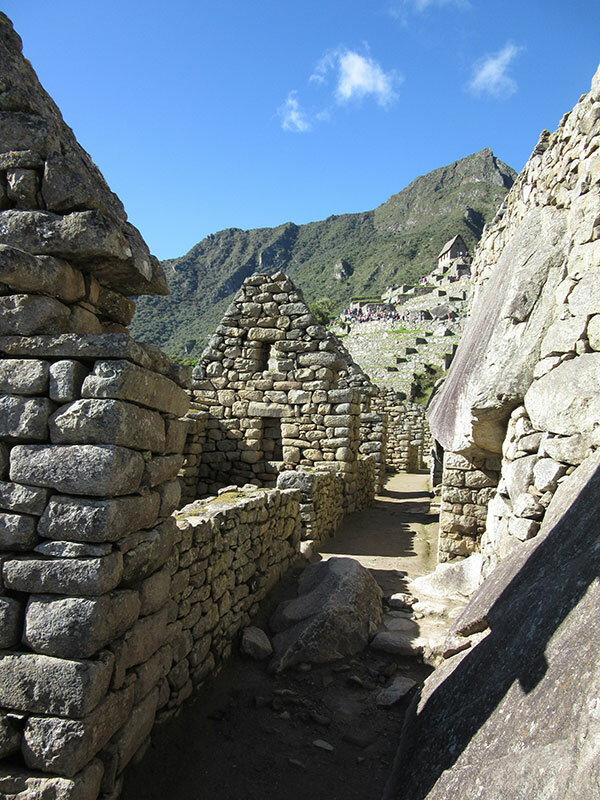 Bus up, walk down – unless you’re super fit, save your energy for walking around the ruins. Total – £96.39 per person, £192.78 for both of us. The train costs are likely to vary wildly, for example in our case the better train cost less money. But hopefully they are helpful as an example. 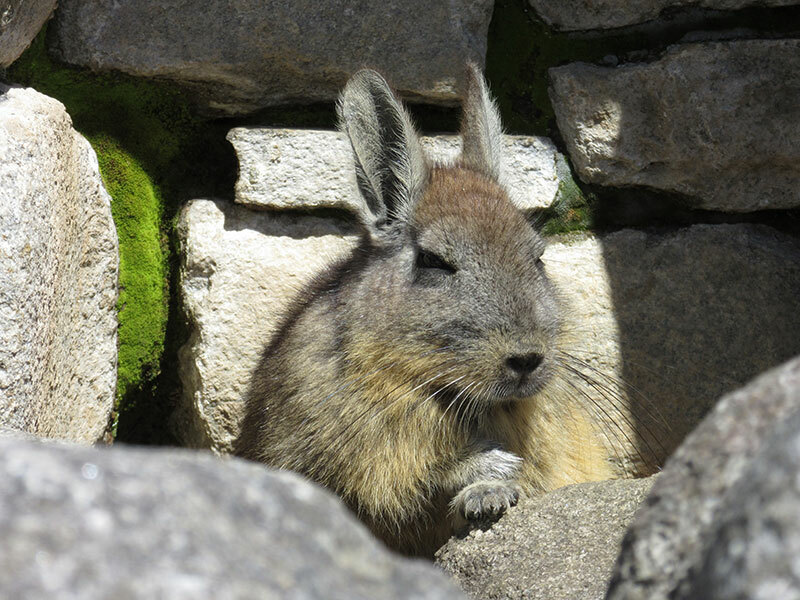 The Machu Picchu entry ticket cost S./128 (£25.77) and has to be purchased in advance – you could get them in Aguas Calientes but we got ours in Cusco just to be sure, at the official office near the main square. Our dorm beds at Ecopackers cost S./43 (£8.72) each. Not an awful price but the rooms were grotty, and they’d run out of towels – our towels were with our backpacks in Cusco so we had to buy one! However their restaurant did good food in the evening and the free breakfast was basic but nice and filling. Thanks! Yeah we did feel a bit lame not doing the trek and while we probably could have done it, it would have been very tough. 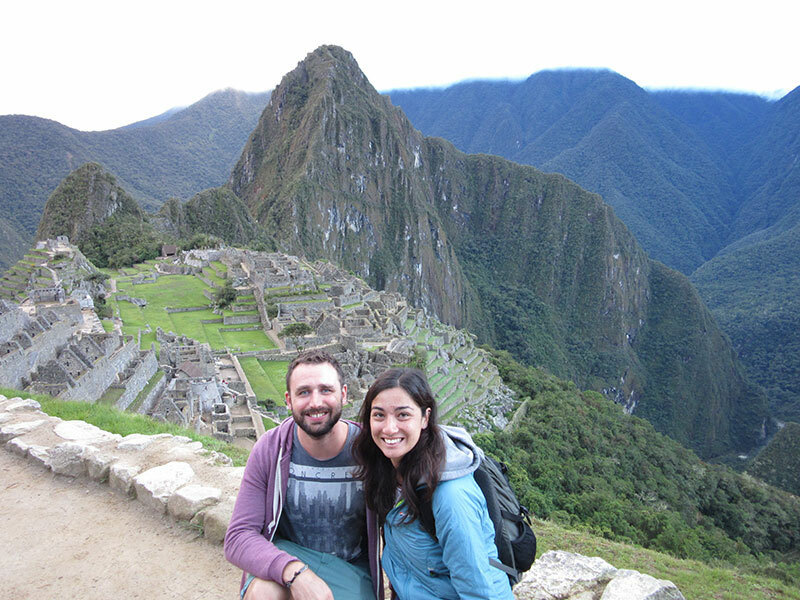 The cost was another reason too, the Inca trail is so expensive!